Perfect for doweling, mortising, pocket holes, hardware installation and more! 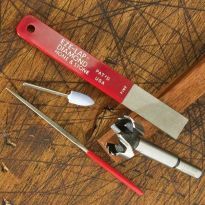 Pre-sharpened high carbon steel bits are ready to use in any type of wood. Cut precision flat-bottom holes without tear-out. 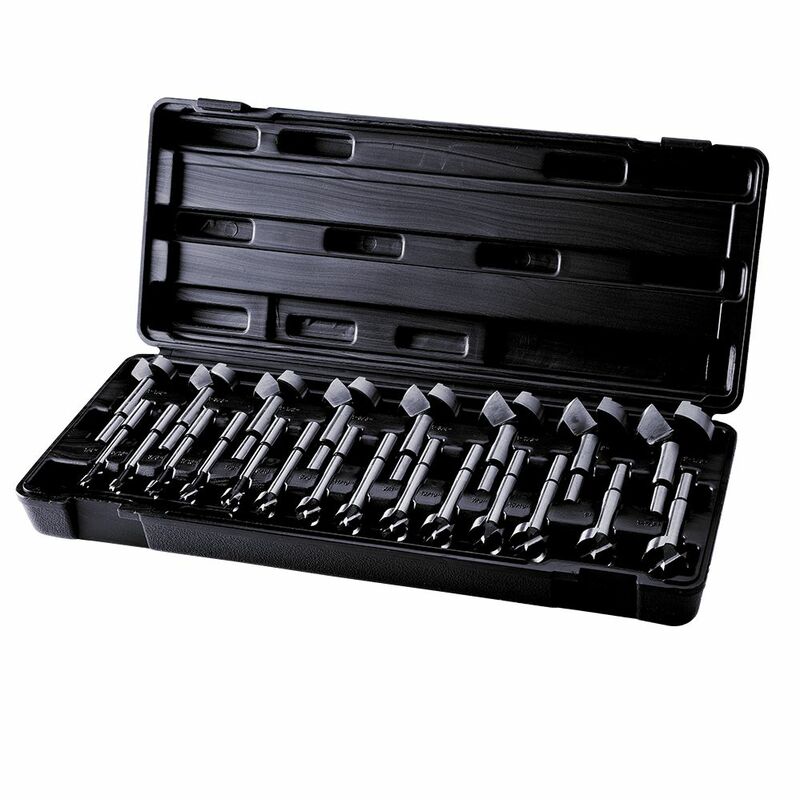 Set includes 22 forstner bits in common, standard sizes plus a storage case. These bits have all worked very well, so far. I have used a couple of them for more than 10 projects without losing sharpness. 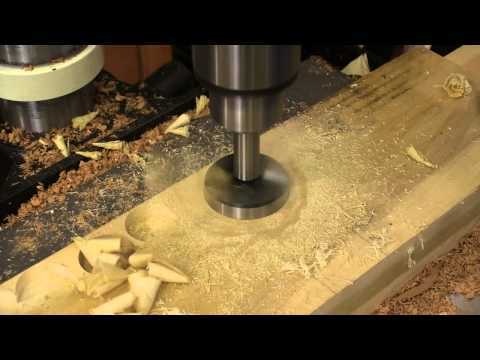 I do drill a relief hole for sawdust to exit before using them, most of the time. Would recommend. I use it all the time. I love having a plethora of sizes. Has 22 bits of different sizes. The case makes it possible to keep all bits together and organized. The price of the bits was very reasonable. The holes are precise and the bottom is very flat. Very glad I purchased this. Awesome set of bits! Seem to stay sharp. Nice, sturdy case. Only had the set for 2 weeks but sure do enjoy using them, shape and cut very well. Amazing quality for the price. 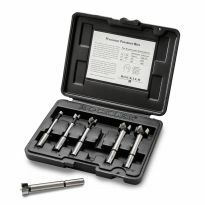 I would recommend these to anyone looking to buy a set of Forstner bits. 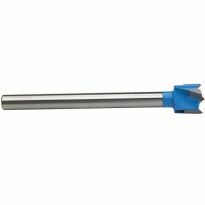 Good range of sizes and high quality Forstner bits. I have used 3 of the bits so far. They cut very clean flat bottom holes. Well worth bthe money. I have owned Rockler forstner bits for many years but discovering a big sale on this giant set with 22 sizes was a real find. Great set, nice box to keep them in and I'm a happy camper! these bits do a nice job seem very sharp and with 22 sizes for this price you can,t go wrong. Hands down the best bang for your buck. Highly recommended! Great purchase, the case keeps all drill bits organized. the drill bits work great, inside the case has a chart which allows you to use the correct speed for each bit. Very sharp and a great price. Very sharp and a great deal for price. I'm surprised at how often I use them now that I have them in my shop. I needed to drill holes to make lathe tool holder. I used drill press with slow speed. Makes nice clean holes. Great product. Fast shipping. Really nice bit set. I like the graduated sizes. I use them to begin a bowl on my lath. Saves a lot of time. They make a clean cut and are easy to use. I bought this set as a gift for my son and have only seen and handled it upon opening the box. I haven't see them in actual operation, but their quality looks good! It is a very nice set! Man these work great! Would recommend to anyone. I have used several of them, with drill press and with lathe, and have found them to work well, especially when at the proper speed (rpm). A good value. Reasonable price for a nice set. While I haven't used all of them yet, I have been very happy with the ones that I've used so far. 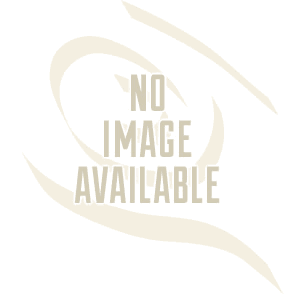 Provides a wide array of sizes and neatly organized. Great addition to my woodworking tools. Price paid made it very attractive and worth the value. My first set of forstner bit where over 20 years old with steady use. These new bits are higher quality and cut very cleanly. My first thought,I should ha e bought these years ago. I highly recommended them to all. I missed a sale on these the last time and was very pleased to get them on another sale. 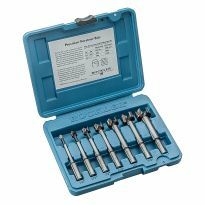 The sizes are quite varied and perfect for most uses in any workshop. Case is really sturdy so it provides for great protection of each bit. The grip on the case could be better, though. It's really different from any other case I've used or seen. Means I have to be careful when I pick it up. Great product at a great price. Thank you, Rockler! Great deal on this purchase, the bits are in great shape, it will last ever. What a great set I could not be more satisfied!!! Bought this set while 50% off and I couldn't be happier. My wife bought these for me as a Christmas gift when they were $100 off. I took them out to the shop right away and put them to use. While a few of the bits are not as sharp as they could be they cut through Hard Maple and Red Oak without burning. They are just fine for my purposes and cost a lot less than a name branded bit set. A little time spent with a honing tool will sharpen these bits right up and remove any burs that exist coming from the manufacturer. I've purchased name branded bits before, one at a time, that are not much better prepared for first time use that these bits were. Generally speaking, I am pleased with these bit and look to get a lot of good use from them. Great quality and size assortment. I don't have them long , but used one the other day and it worked fine.Nice case and there not hard to take out if you watch what you're doing because they are sharp. I have many sets of different tools. I must say this ranks high on my list of favorites. Very well designed case. Locking feature should last forever. I have quite a few broken ones that just wore out from use. My shop was robbed andI lost a lot of tools, one of which was my forester set. I replaced it with this set from Rockler and this is much better than the one I lost. I really like the 1/16 graduations throughout all sizes. I have taken care of the problem and I won't lose this set. I used this set in class and wanted to buy one but too much money at the time. Well made. I like how the smaller bits have a larger Chuck diameter. I have yet to use the larger bits but I am sure they will perform just as good as the others. Used it for the first time this week and it worked great. My 16 year old grandson was down and he is a whiz in the woodshop. I was amazed at how much he already knew, far more then me I turned a bowl for the first time this past week. I would rather watch him work. excellent product for the price. fast free shipping. I don't know who this Mr. Forstner is who invented these bits, but the man is a genius. I used the 7/16" bit to countersink some screw heads, and boy did those holes work great! More perfectly round than a Krispy Kreme donut hole. Makes my drilling look like it was done by a seasoned professional, and my screws look all warm and cozy, snuggled neatly within their circular cocoon of goodness. Now, I can't speak as to the rest of them, but number 7/16 has won over my heart. Good price, nice case, solid product. A nice set for the price. Just what my shop needed. Product arrived in excellent condition. Tested out about 1/2 a dozen bits in some oak, cedar & pine & all 6 performed very well. I think this is a very good product for the price.Looking forward to trying the set out on some real projects. Nice having a full set at a great price! Now I need a better drill press! You can use them right out of the box. The person who will receive this gift bought this for the school he works for and really wants one for his personal use, so he will receive it as a birthday gift. I like woodworking projects, and a friend had some of these bits. When I saw him use them on his projects I was sold. They are awesome. 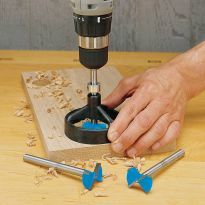 They make perfect smooth holes and can be used on a drill press or with your hand drill. It might be a little pricey, but like the ole saying goes you get what you pay for. If you want a set to last then I recommend this set. You will never need another one. 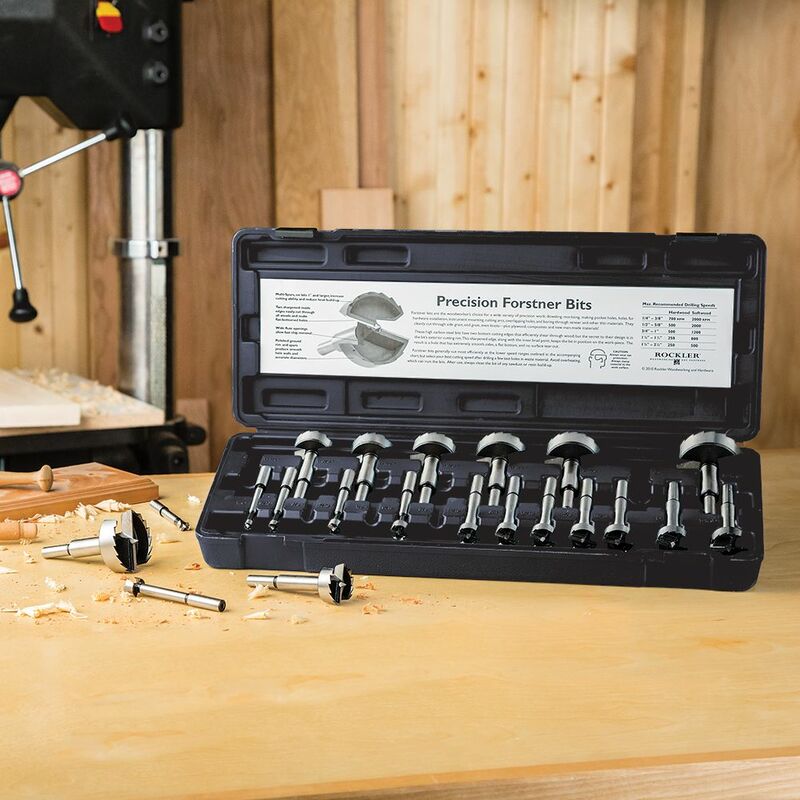 Have been looking for a good deal on Forstner bits and this is a good deal. I needed a large set that stores nicely. This set had good reviews and a sale price of $69.99 was too good to pass up. A very complete set with great reviews and an amazingly low sale price. Can't wait to get them! Reviews were favorable and the price was right. I like the storage case as well, seems better than most. Need. Set, reviews look good, seems like a good price. Time will tell! great reviews and great price. I had these at another company and liked them. Love the complete set - by 1/16 fractionals under 1" - by 1/8 above 1"
needed a couple different sizes, but for this price I can get a whole set for the cost of a few that I need. To be able to have a more complete set at a reasonable price in recognition of the founders sale discount. I saw this type of bit being used on Woodsmith Shop and they look to make beautiful, clean holes. This is for some projects to make a "Shadow Box" for bottles. Had this set previously but lost it when my house burned down in the Northern California Fires. I like working with wood and this set will be a welcome addition to my home shop. I have my own set and I want my three sons to have the same thing. Are these bits Made in the USA? what country are they made in ? What is the usable length of the shaft? I need to go through 2" of soft pine. Absolutely no problemo. You can do it in your sleep. 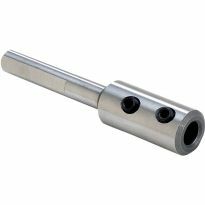 What is the maximum speed of operation in a drill press for these Forster bits? BEST ANSWER: Forstners are designed to run slow. Larger bits around 700 or below, smaller bits not above 1200. Slow is best though. Can these Forstner Bits be used with hand-held drills or only with drill presses? BEST ANSWER: Yes, you can use them with hand held drills. Just make sure to go slow and use the low speed option on the drill, especially for the larger bits. Yes, I am a customer who bought these, and have definitely used them both ways. Yes, it helps to have a guide but not necessary Good luck. have used them with both with no problems. 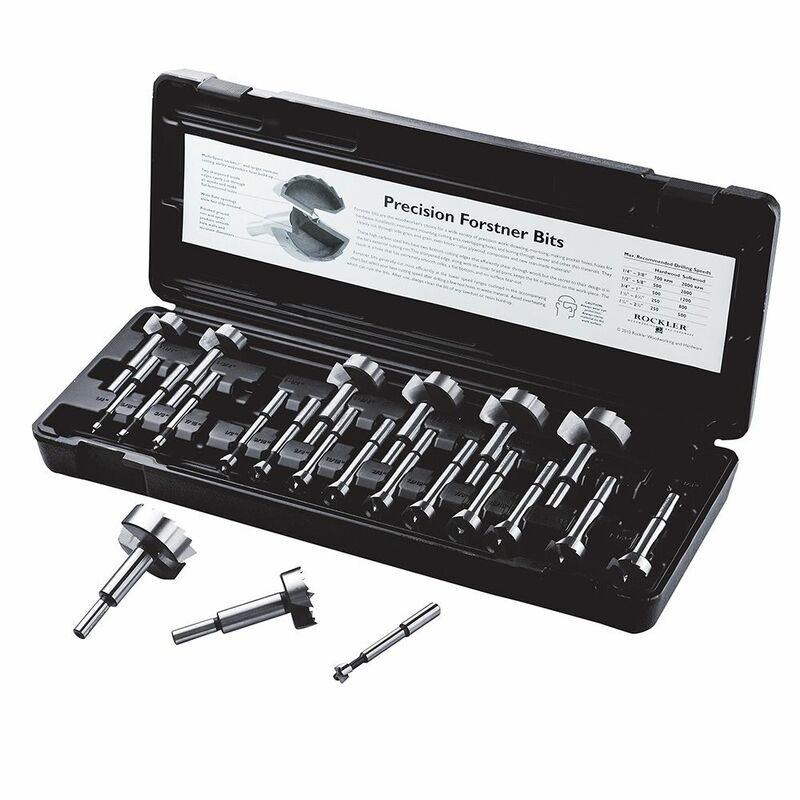 What level of quality would you rate these Forstner bits? Do they need frequent sharping? BEST ANSWER: I've only used the same 6 or so bits, but they were perfect out of the case. I mostly work with sapele (very hard) and Spanish cedar (relatively soft but very resinous). So far after several uses I haven't had to sharpen, only take the pitch off with bit cleaner. I had ordered a Forstner sharpening kit just in case, as they eventually will need to be sharpened. I think they are very nice and accomplish the tasks that I need. However, if you need to work with dense wood, these bits will dull rather quickly. For everyday, routine use, I would certainly recommend them. They are high quality but probably not the best you can buy. Very happy with them, have not used them enough to need sharping. These are very good quality BITS IMO. I use them mostly in maple and have not seen any need for re-sharpening.